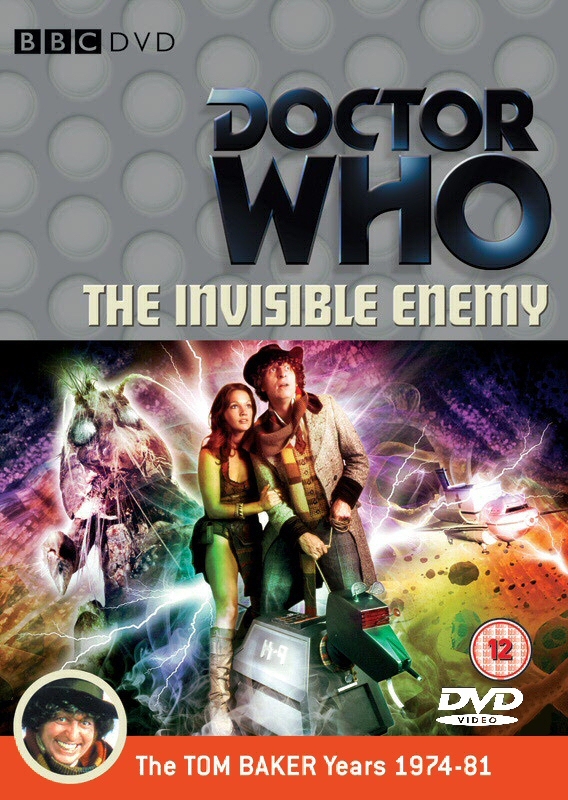 ‘The Invisible Enemy’ reflects the uncertainty of Doctor Who as producer Graham Williams took over the role of producer after prominent declarations from public figures that the show had become far too violent in recent years. As ‘The Invisible Enemy’ attempts to hold on to strands of the horror that had served it so well while also amplifying the innate humour of Tom Baker and his Fourth incarnation of the Doctor, the tonal shifts between episodes and scenes results in a somewhat jarring and ultimately forgettable experience remembered more for the introduction of the robotic K-9 than for the titular Nucleus of the Swarm itself. To be fair, the Nucleus’s ability to possess those around it instantly poses it as a credible threat, although the makeup effects and oft-repeated catchphrase that ‘Contact has been made’ are somewhat less successful in reality. With even the Doctor a victim to its influence, Tom Baker does mesmerizing work while playing the villain, savagely chasing Leela with murderous intent. It’s quite telling that his ultimate resolution is quite cruel and dark as he decides that Leela’s explosive plan is the best course of action in a story that highlights the companion’s predatory instincts and determination which also make her immune to the Nuceus’s possessive effects. Unfortunately, the superb tension and model work that bring Titan Base to life so expertly early on are quickly forgotten, and the story begins to rely on rather clichéd cut-outs of characters to progress the plot, Marius and Lowe prime examples that even high-caliber actors cannot elevate into more meaningful characters. Credit must be given to Williams for not being afraid to debut with a script that jumps about locations and even dares to physically send the Doctor and Leela into the depths of the Doctor’s mind with an homage to Fantastic Voyage, and there is certainly no lack of ambition on display even if various components of that ambition are realized to different effect. Regrettably, the ultimate manifestation of the Nucleus is completely lacking in verisimilitude, the giant crustacean looking to lay eggs a genuine let-down. Though thankfully the Nucleus remains off-screen for over half of the story, its presence only serves as a burden to a story that otherwise has many glimpses of redemption throughout its running time. After a run of incredibly successful enemies, the failure of the Nucleus stands out all the more, and even the Doctor- when not under its influence- fails to take it seriously. The Nucleus is the downfall of the episode, and there are some rather obvious dodgy effects, but the script is absolutely bursting with imagination and ambition and the potential that a trip into the Doctor’s mind holds is inherently fascinating. The quick pace and the constant changing of tone and locations helps to keep events from becoming too stale or flat in the less successful areas of the script, but it also fails to lend ‘The Invisible Enemy’ any true sense of identity. Tom Baker and Louise Jameson offer incredible performances that somehow keep the entire production from devolving into utter silliness, and the introduction of K-9 already hints at the great companion that he will shortly become. ‘The Invisible Enemy’ is a mixed tale, one that holds just as many moments of enjoyment as not, and one that will certainly appeal to some more than others.